The café is located at Granite Hill Camping Resort. 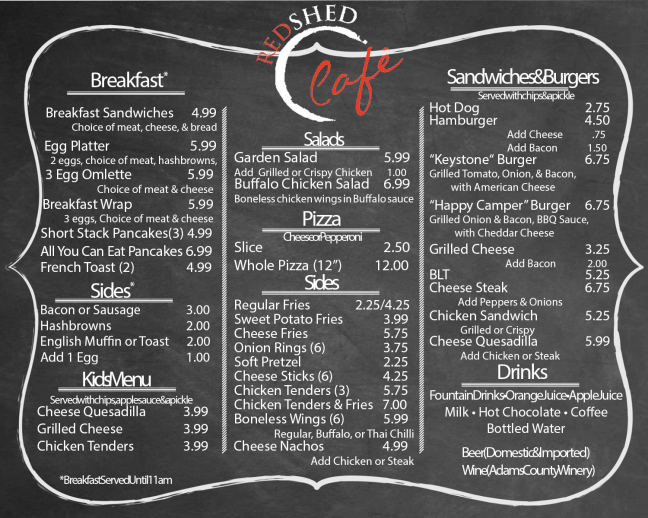 Whether you eat-in or carry-out, you’re sure to enjoy breakfast, lunch, dinner or snack time at our full service café! And, for your convenience we offer a full selection of beer, microbrews, and local wines!